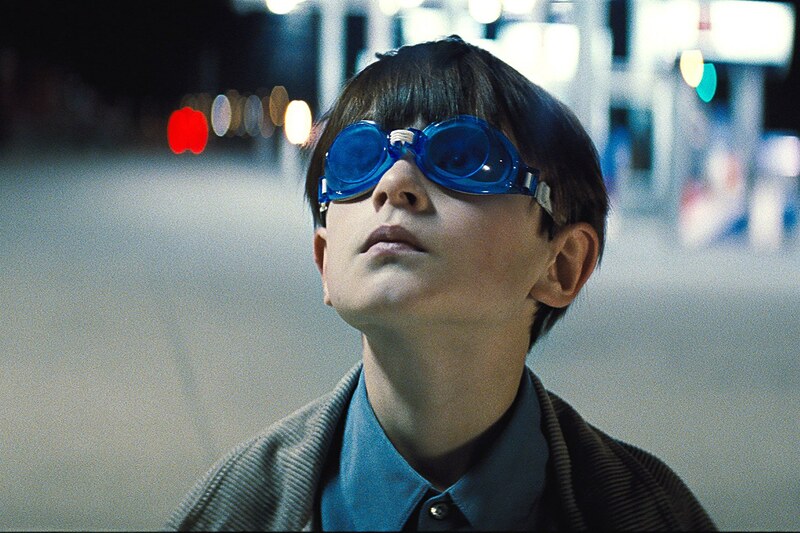 Midnight Special (2016) – Bright Eyes – Screenkicker! Midnight Special, the latest from acclaimed indie director Jeff Nichols (Take Shelter, Mud) has been getting rave reviews across the board with many critics comparing it to classic Spielberg. Close Encounters of the Third Kind and E.T are being mentioned alongside it and there are elements of those sci-fi behemoths that Midnight Special evokes but the movie that it brought to mind for me is a less well-loved oldie. I’m talking about Flight of the Navigator obviously, a film that I grew up with and that has a special place in my heart. That’s why this new film tickled my nostalgia bone. Kneel before Zod!!! Oops wrong way round. The movie tells the story of two Texan men evading the authorities with a goggle-wearing nine year old boy in tow. Why have they got him? Who are the weird cult that’s chasing them? Why are the FBI so eager to find the boy? 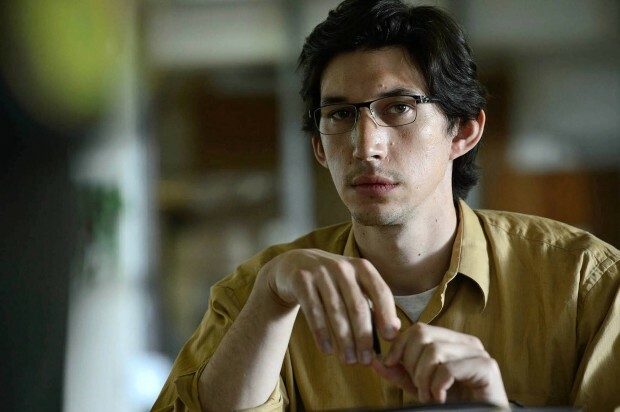 These are questions that Midnight Special drip feeds to the audience with the answers slowly coming as more characters are introduced including Adam Driver’s NSA consultant and Kirsten Dunst as the child’s mother. When I say that the revelations come slowly, I mean sloooowwwwlllly. This is a Jeff Nichols movie after all and he’s not the kind of director that rushes the plot. He’s more interested in setting his usual melancholic tone in an effort to bring the audience into each scene. Some might find the film slightly boring if they’re expecting a thrill ride but if you relax into it the movie eventually comes together. My problem was that I was really hungry so my concentration slipped a lot leaving me reminiscing about how I’ve never had a pair of swimming goggles that didn’t hurt like hell and leave me with a headache (seriously, what am I doing wrong?). And I’ve drifted off topic again. I would be in agony right now. One aspect that isn’t in doubt about Midnight Special is the quality of the cast. Michael Shannon is excellent as always as the boy’s worried father and Joel Edgerton puts in another tremendous performance as Shannon’s partner in crime. The child himself is played by impressive newcomer Jaeden Lieberher who makes the character of Alton Meyer likable and believable. Dunst is great too and Driver provides the little comic relief that the film arguably needs more of. To get back to my original point, Midnight Special doesn’t stand up to Spielberg at the top of his game but it’s still an interesting story told with a strong human touch. You’ll care about the characters and you’ll want to find out what’s going on but don’t expect to be massively moved by the story. Midnight Special is a quality film but a lack of lightness and a disjointed structure stop it from being great. It’s no Flight of the Navigator is what I’m saying. Next Edinburgh Comic-con 2016 – Meet the Cosplayers! I like Flight of the Navigator too! Midnight Special seems interesting but I just can’t bring myself to pay to go see it. I like your honesty! It’s fine to wait for the DVD, I think it would be a better watch in the comfort of your home. Which Shannon is the chick, she should be . . . erm, on top. That would be Shannon Elizabeth from American Pie. There were aren’t many Shannons to choose from! Nice review, been hearing quite a lot about this flick. Can’t wait to see this Mikey! Gutted that I miss the press screening but this looks good enough for me to see it on the big screen. Love Shannon and Edgerton! Looking forward to seeing what you think of it. You have to buy expensive swim goggles 😜 then they don’t pinch your nose or squeeze your head too tight. I think I just have a massive head! Great work! Will look into this one eventually. Nice review. I haven’t got round to seeing this yet, but I’ve only heard good things about it. I did think it had a sort of Spielberg look about. I quite like slow-burning plots when it’s done right, so hopefully I’ll agree with your verdict. Thanks Liam, let me know what you think if you see it. It’s definitely got a Spielberg meets indie film feel.